Everyone puts cheese on top of their hamburgers, but have you ever tried to put it in the middle? 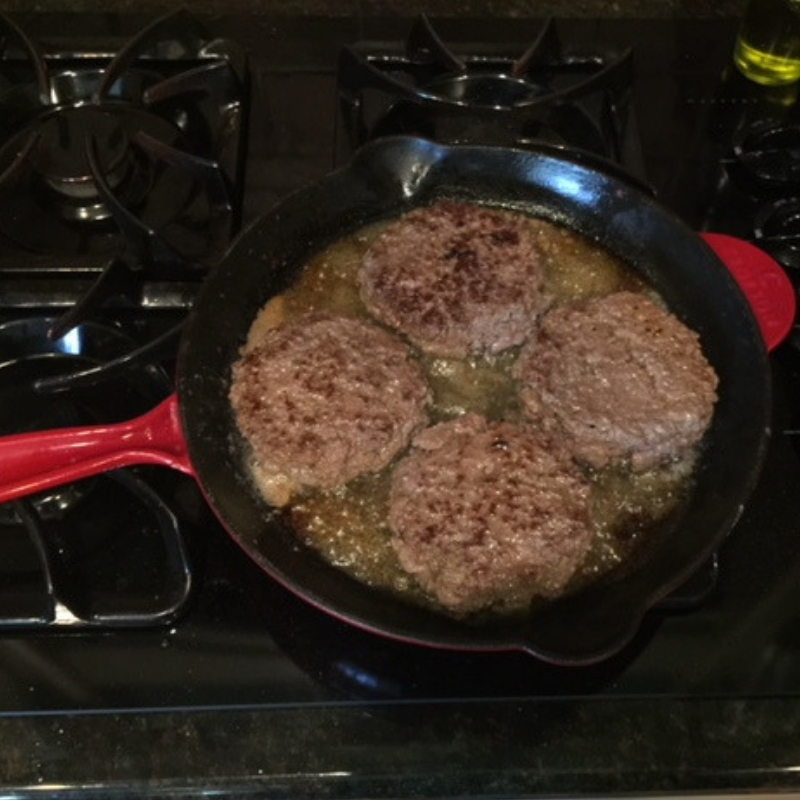 Stuff Hiland Dairy Mild Cheddar Cheese in between two hamburger patties, throw your hamburger in a skillet with melted Hiland Dairy Butter, and you will never make a hamburger any other way. These stuffed burgers ooze cheesy goodness with every bite! Cut the mild cheese into 12, 1½ x 1½ squares. 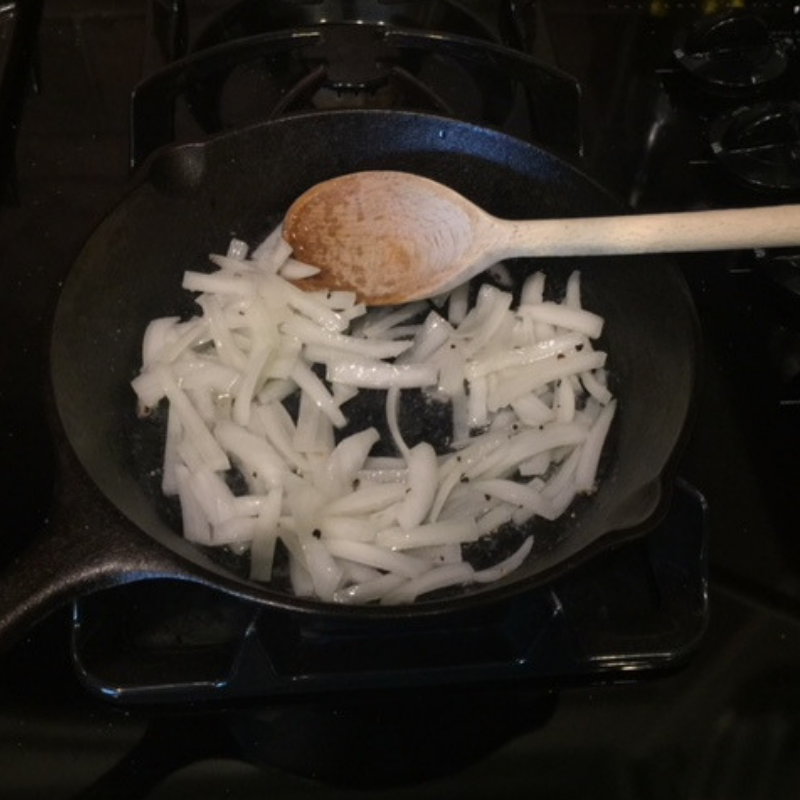 Julienne the onion into 1-inch strips. Set both aside. In a small skillet, melt 2 tablespoons of Hiland Dairy Butter. Sauté the onion until browned for approximately 5 minutes. In a large bowl, combine the ground chuck, salt, garlic salt, Worcestershire sauce, and pepper. Softly toss to combine the ingredients with your hands. 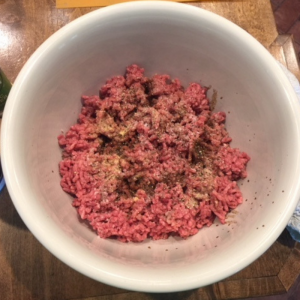 Roll the mixture into balls that are approximately 3-inch in diameter. Flatten each ball into ½ inch thick patties and indent the center. 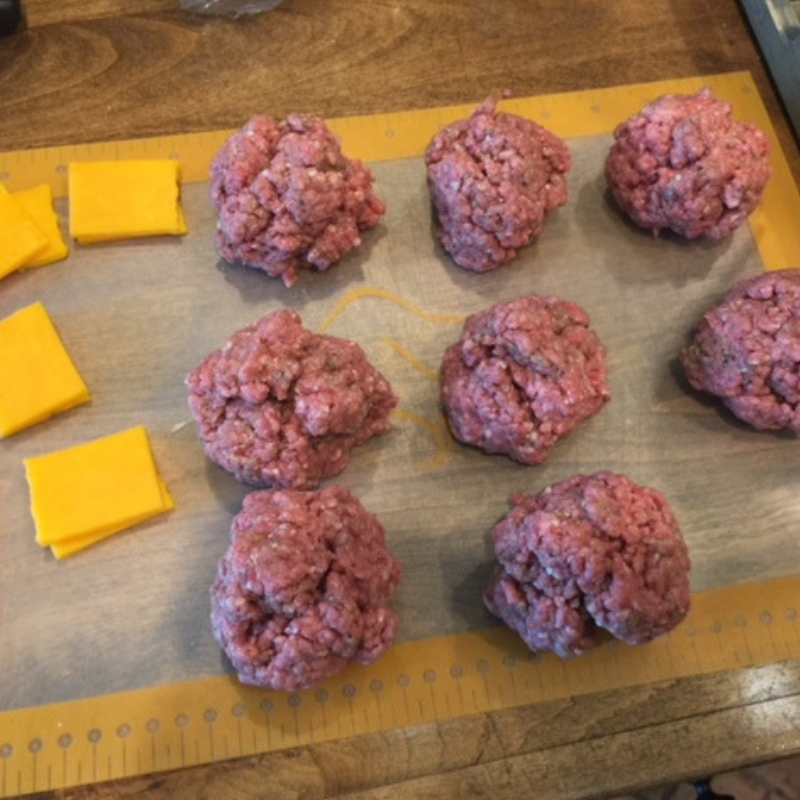 Place 3 Hiland Dairy Cheese squares into the indented center of 4 patties. 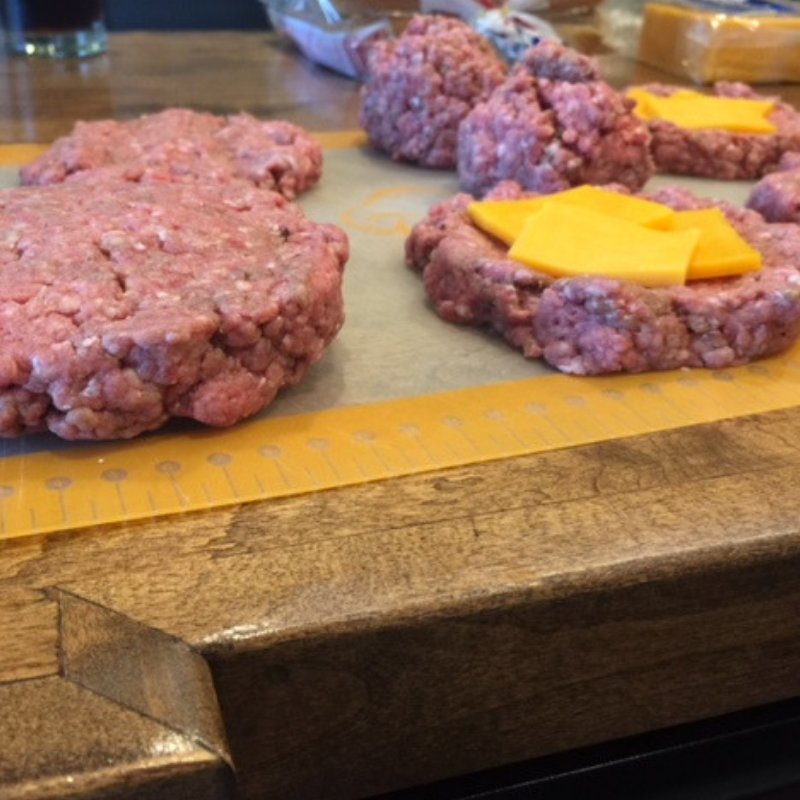 Place another meat patty on top and pinch the sides to create a hamburger. 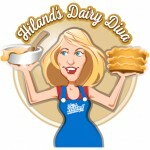 Melt 3 tablespoons of Hiland Dairy Butter in a large skillet. Fry the patties for 5 minutes on each side. 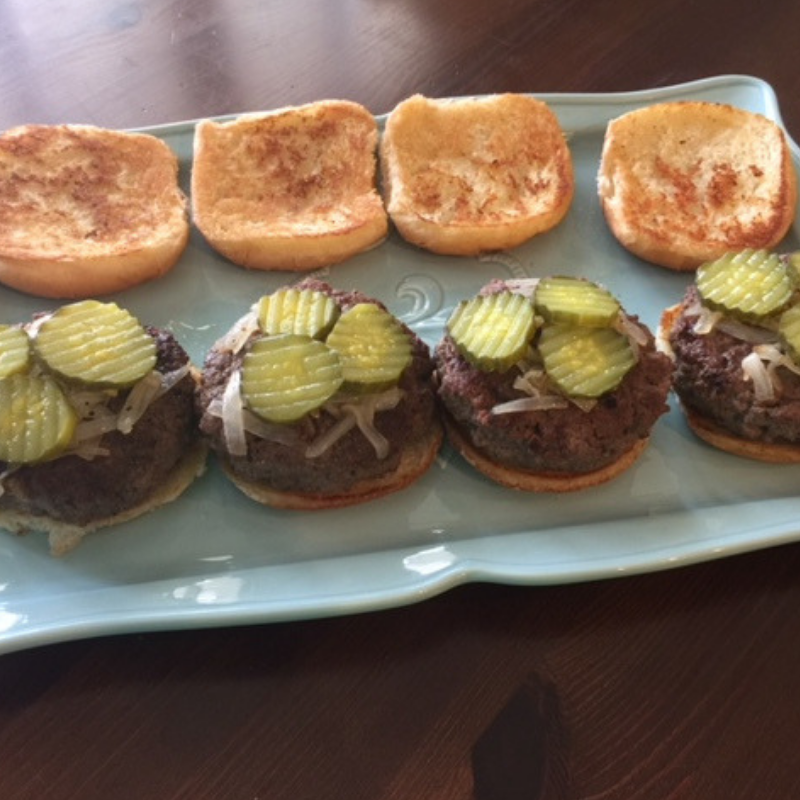 Top each hamburger with pickles and sautéed onions. Serve immediately. 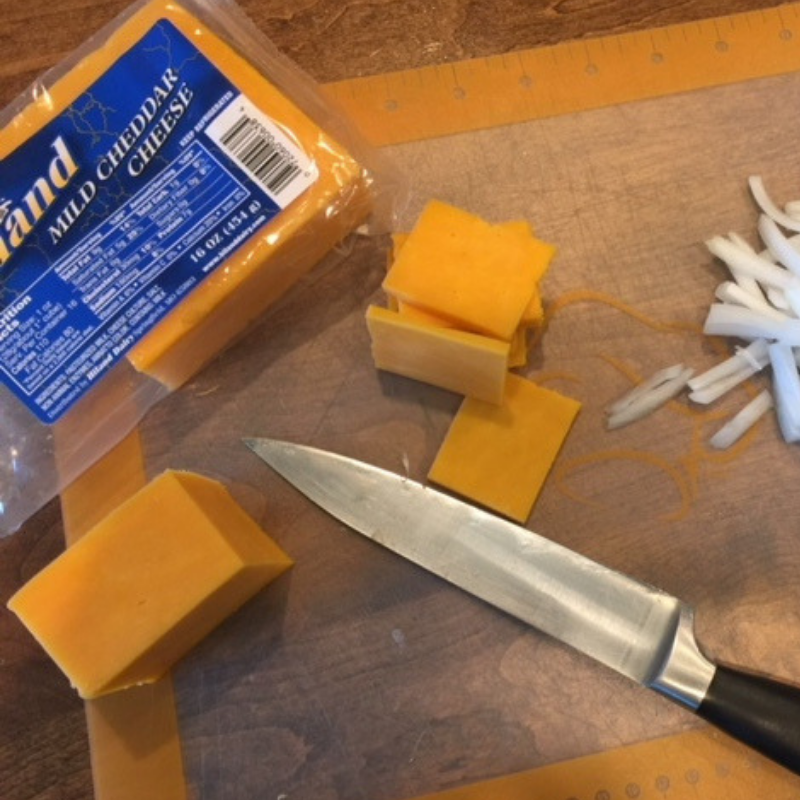 Hiland Dairy Pepperjack Cheese is also a delicious substitute for the cheese filling.